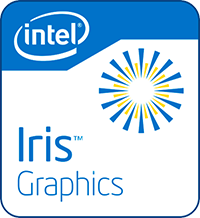 Intel HD & Iris/Pro Graphics UHD Driver 26.20.100.6566 WHQL UWD. - This Intel Graphics driver version for Windows 10 - 64 bit, supports 7th Gen Intel(R) Core(TM) processor family (Codename Kaby Lake), 6th Gen Intel(R) Core(TM) processor family (codename Skylake), Apollo Lake Platform, 8th Gen Intel® Core™ processor family (codename Coffee Lake). 8th Generation Intel® Core processors, related Pentium®/ Celeron® Processors, and Intel® Xeon processors, with Intel® Iris® Plus Graphics 655 and Intel® UHD Graphics 610, 620, 630, P630. 7th Generation Intel® Core processors, related Pentium®/ Celeron® Processors, and Intel® Xeon processors, with Intel® Iris® Plus Graphics 640, 650 and Intel® HD Graphics 610, 615, 620, 630, P630. 6th Generation Intel® Core processors, Intel Core™ M, and related Pentium® processors, with Intel® Iris® Graphics 540, Intel® Iris® Graphics 550, Intel® Iris® Pro Graphics 580, and Intel® HD Graphics 510, 515, 520, 530.